The Arctic Cat All Star Circuit of Champions cruised into Central Pennsylvania on Saturday afternoon with intentions to beat the “Pennsylvania Posse” on their home dirt. Not only did the Arctic Cat All Stars achieve their goal, they conquered, earning two spots on the feature podium including the very top worth $5,000. The regional travelers are now two-for-two in 2016 during “Posse” competition. Dale Blaney, defending Arctic Cat All Star Circuit of Champions titlist, led every lap of the inaugural Keith Kauffman Classic at Port Royal Speedway in Port Royal on Saturday, April 23, capturing his 129th career Arctic Cat All Star victory. The “Low Rider” started second on the main event grid, and despite the initial start getting called back due to a caution, the Ohio native surged to the front and controlled the opening circuit. After dealing with two consecutive cautions on lap four, as well as a fuel stop, Blaney’s lead would eventually stretch to 5.76 seconds at the end of 30 circuits around the Port Royal “Speed Palace,” keeping current series point leader Chad Kemenah at bay. 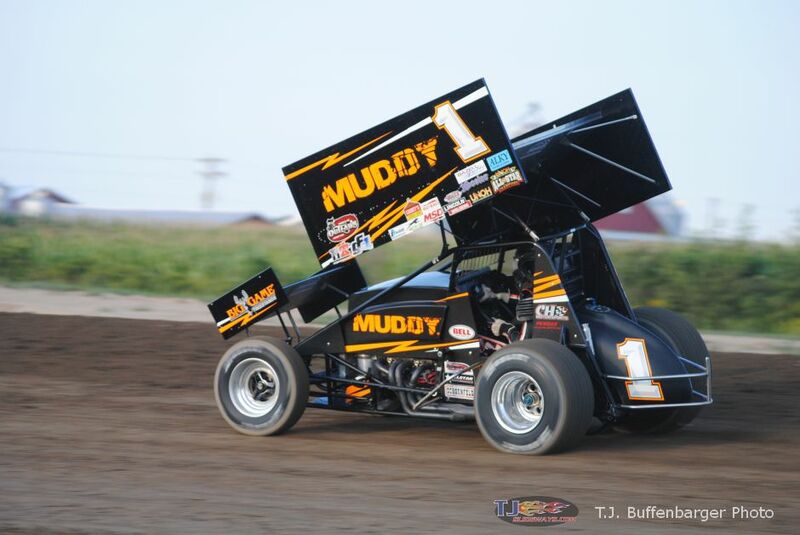 The pilot of the CH Motorsports, GoMuddy.com, No 1B now has three career victories at Port Royal Speedway, with two occurring during Arctic Cat All Star competition. Blaney is now the first repeat winner of the 2016 Arctic Cat All Star season, earning his first during the HD Supply Spring Nationals at Attica Raceway Park. Chad Kemenah started fourth on the feature grid, racing into second by the end of lap one. The former four-time Arctic Cat All Star champion followed Blaney the entire 30-lap distance, chasing the defending champion through periods of traffic, which came into effect as early as lap nine. Despite attempts to catch the “Low Rider,” Kemenah would have to settle for second, followed by Greg Hodnett, a fast charging Dave Blaney, and Steve Buckwalter. The main event went undisturbed following the lap four fuel stop. For Kemenah, it was his fifth top-five performance of the 2016 Arctic Cat All Star season, including non-point action in Florida during the early stages of February. The driver of the Hunter Racing, No. 10H will enter the next point event with a six marker advantage over Dale Blaney. Dave Blaney’s advancement into the top-five during the Keith Kauffman Classic included a hard charge equalling 20 positions. The former World of Outlaws champion, driver of the Motter Motorsports, No. 71M, started 24th on the feature starting grid. The Arctic Cat All Star Circuit of Champions will conclude their trek through Central Pennsylvania with a visit to the Selinsgrove Speedway in Selinsgrove, Pennsylvania, on Sunday night, April 24; the first appearance by the traveling series in 16 years. The Ray Tilley Classic will headline action at the Selinsgrove half-mile, awarding a $5,000 top prize. “Mr. Excitement” Todd Shaffer is the most recent winner at Selinsgrove Speedway during Arctic Cat All Star competition, taking home the checkers on May 7, 2000. Selinsgrove Speedway pit gates are scheduled to swing open at 4:00 pm on Sunday afternoon, April 24, with a mandatory drivers meeting to follow at 5:15. Warm-ups will begin at approximately 5:30 pm, followed by racing at 6:00 pm, sharp. Those interested in learning more should visit Selinsgrove Speedway live on the Web at www.selinsgrovespeedway.com.